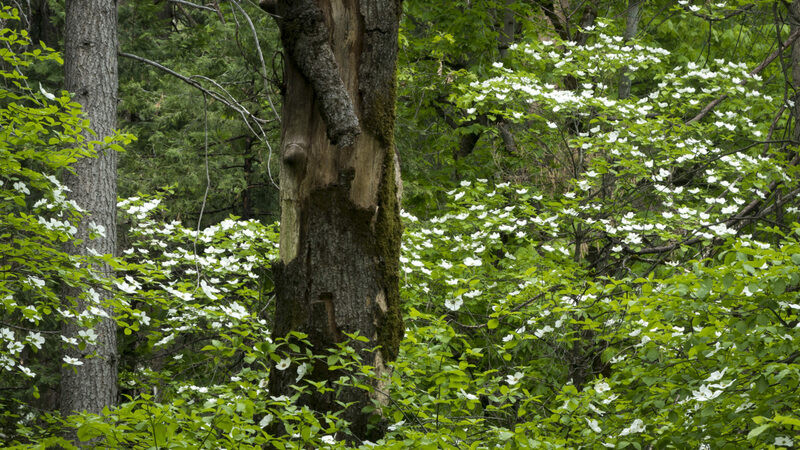 Dogwood blooms brighten the forest in Yosemite Valley. May is an excellent time to visit the Valley. Dogwoods are blooming, Waterfalls are raging and the crowds haven't yet arrived.